Twins Ada and Evan Bridgelal live in Trincity, Trinidad, with their father Steven, a scientist. They have never met their mother and are dying to know more about yer but Steven won’t come clean about their history. Though they don’t know it, they have a special secret, one only their father can explain. When they enter secondary school and join rugby teams, strange things start happening to them and the mystery thickens. 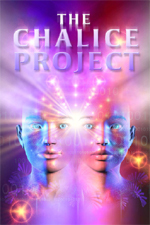 The Chalice Project is a science fiction, action-adventure story for 10-15-year old readers. They’ll love the characters, the story and the setting. The book is written in bold, bright, descriptive language that engages the imagination and brings the tale to life. It is part of the Island Fiction series by Macmillan Caribbean.